Are you tired of spending all day cleaning your home? What if you could get your weekends back? 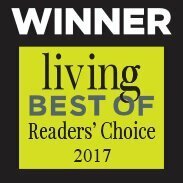 The reputable referral agency That’s Clean Maids is here to help automate your life and give you the gift of free time, which we all know you deserve! We are proud to call Houston and surrounding areas our home! We are a community built on hard labor, doing the right thing, and helping each other out. These same principles lie at the core of our referral business, which is why we go above and beyond to deliver a high quality customer experience. Book your cleaning session today and experience the difference only genuine dedication can make! Making your home spotless is hard work. Keeping it that way, even harder! But all this can be fixed in no time. You just need to find the cleaning package that's ideal for your home. Transparent, flat rates, charging by the hour, no contracts, cancel anytime! Personalized cleaning, just the way you like it! Houston is an awesome city! Sports, music venues, rodeo, museums, food, and nightlife. So many activities to enjoy but after finishing all those chores, you don't really have the time or the energy to do so. Let us help automate the cleaning tasks in your home. It's time for life to be more about laid-back free time and having a blast with friends and family, not spending countless hours scrubbing, vacuuming, and mopping. Living in Houston, TX is wonderful! From fine dining to world-class museums, such as The Museum of Fine Arts, you love everything about the place. And, if you get bored walking through the streets of Houston, you can always visit Downtown Houston Tunnels and explore the city from below or uncover the mysteries of the NASA’s Space Center Houston. But the minute you come back home from work, you become painfully aware of all those house chores you need to get down to. All you want to do is spend some time alone or with your loved ones. You definitely don't want to waste your time and last ounces of energy mopping and scrubbing. Sadly, the dishes keep piling up relentlessly and your place is covered in a layer of dust. You simply cannot call it ‘a creative mess’ anymore. It’s easy to feel frustrated when there’s no one to help you with the housework. But there is someone you can lean on, and they are just a call away! 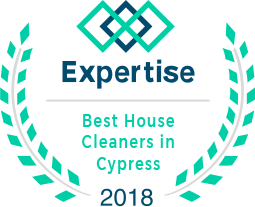 Thanks to That's Clean Maids, you can book the best house cleaning pros in Houston TX in under 60 seconds and let them take the burden of cleaning off your shoulders! Walking into a clean living room is a pleasant sight for the eyes. The lure of your neat kitchen is so irresistible that it makes you want to try out that new recipe this instant. Your relatives are coming to visit this weekend, and your home is already in tip-top shape, ready to welcome them and leave them in awe. It’s like a dream come true, and That’s Clean Maids will make your dreams a reality! When you book our service, you get the whole package, at the core of which is the most efficient house cleaning Houston, TX has to offer, and not only that! Thanks to top-rate cleaners we work with, you get more time to do the things you love! Whether you need basic/deep cleaning, move in/out services, or tile or grout cleaning, That’s Clean Maids is the one to call! The number one cleaners we team up with can tackle any cleaning task – just the way you like it. With our flat rates and cash-free payment, you know exactly how much you pay for the service, and when. Customize your cleaning and pick the most suitable time and date (cleaners available Mon-Sat, 8 a.m. - 7 p.m.), and that’s it. The cleaning go-getters we'll send your way will come fully equipped with cleaning tools, supplies and a smile! They will treat your home and personal belongings with utmost respect and care, making your place spotless in no time! What you consider chores, they think of as their true calling! We guarantee that you will be 100% satisfied with the work performed by those who are known to provide the best house cleaning services in Hockley. Your happiness and trust are our priorities. We thoroughly vet all cleaners we dispatch to you through extensive reference- and background checks, as well as in-person and phone interviews. 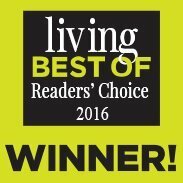 This means we only team up with the most skilled, experienced and reliable providers of maid cleaning services in Rosenberg. We are also dedicated to consistency and excellence, and your feedback is invaluable to us. Finally, we make sure to assess the cleaners after every cleaning they perform based on YOUR reviews. If there’s anything you are not completely satisfied with, just let us know. The crew will come back to re-do the area to your liking – no questions asked, no extra charge. We aim to resolve any concerns within 48 hours and are always available to hear your thoughts. 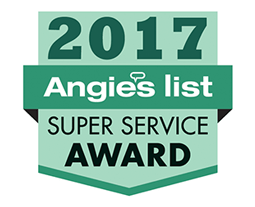 Our goal is to help you reap the benefits of the best cleaning services in Missouri City, and maid services in The Woodlands. We will go the extra mile to meet all your cleaning needs, and exceed all your expectations. We make it easy for you to get the help you need in order to keep the place clean. Your trusted cleaners have passed vigorous screening and background checks. Let the best in the business take care of the cleaning so you can focus on more important things. We make payments easy and simple. You can rate each cleaning session via automated email, so don't forget to tell us what you think! Happy customers are our #1 priority. We're just a phone call or email away! All clients are automatically reminded of their scheduled cleaning.